ACMA Engineering constantly looks to stay ahead of the competition with new services, an expanded product range and embracing new outreach platforms. Since the opening of its car workshop back in November 2014, ACMA Engineering Works & Trading Pte Ltd has always operated with the objective of doing things a little differently. 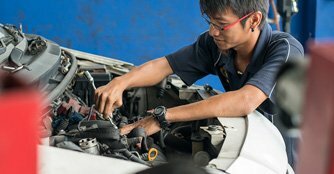 With its $50 car servicing package, the company has built a reputation of offering affordable and value-for-money service. Of course, the company's guiding principles have remained resolutely constant - Alvin Chee, the owner of ACMA Engineering, believes in offering economical services, as well as employing Singaporean mechanics. However, with the large number of workshops in Singapore, Alvin recognises that competition is steep. That is why ACMA consistently looks to better its customer services and product offerings to keep ahead of the competition. Now, when customers come in for a regular servicing, beyond just doing the servicing, the ACMA mechanics will also check for any faults or required repairs. If any are detected, a quotation will be sent to the customer to give them an idea of the work that would be required, without the need for any kind of commitment on the customer's part. 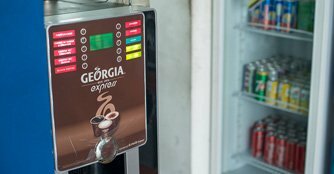 This lets the customer decide what to do next, whilst having a better sense of what needs to be done as ACMA provides them with a pricing and turn-around-time. Additionally, in the past year, ACMA has significantly increased its engine oil range, offering customers a range of choices to suit their needs. Taking inspiration from supermarkets, Alvin realised that different customers want different products - some may pick the cheapest, some may pick more premium products, or some people just want to use a product they are familiar with and have been using regularly. 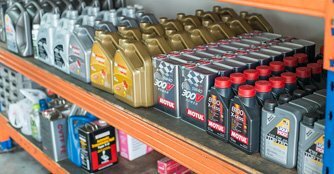 Instead of limiting itself to a couple of brands, ACMA has widened its reach by carrying a total of 11 brands and 22 types of engine oils. In a bid to differentiate itself from other workshops, ACMA believes in pushing the servicing, and not simply the oil brand. Thus, it offers servicing packages priced differently for different oil brands, allowing the customer to choose what he wants. Beyond products and services, there is also a need for new areas of focus, specifically in finding new and innovative ways of keeping ahead of the competition. In this bid, ACMA is looking towards a greater involvement in motorsport, taking up sponsorship roles in Autotest events and working with Supersonic design and performance. Reaching out through motorsport to a dedicated community is important in pushing greater awareness. Beyond just promoting the company, Alvin also fervently believes in supporting the local motorsport scene, especially because of the high levels of enthusiasm in the scene. Beyond motorsport, ACMA is also embracing new technologies and outreach platforms to reach out to a wider customer base. After all, Alvin highlights that in Singapore, demand for car servicing workshops will always remain fairly stable. Therefore, to keep ahead of the competition, he has to constantly explore new means of increasing awareness, expanding reach and growing the brand. To find out more about ACMA Engineering Works & Trading Pte Ltd, you can call 9099 4321, or visit its Facebook page. ACMA is located at 5 Soon Lee Street #06-20 Pioneer Point Singapore (627607). The workshop is open six days a week, from 9:00am to 6:00pm on Monday, Wednesday, Friday and Saturday. On Tuesdays and Thursday, opening hours are extended from 9:00am to 9:00pm. Anyone tried GSC for car servicing?